We are a Facial Aesthetics Skin Care clinic based in Billericay, Essex. We offer a professional, friendly and discreet facial aesthetic and facial skin treatment service. Our vision is to help you and your skin look fabulous. We treat all ages, women and men, from teens suffering from acne to ladies in their 70’s wanting rejuvenated, fresher looking skin. Christina Cope, our lead clinician, is passionate about Facial Aesthetics and trained with some of the leading professionals, including the internationally renowned expert Dr Bob Khanna. Her gentle hand, skilled eye and years of experience has led her to understanding how to achieve a more youthful look in a natural way. Chrissy is a member of the GDC, Save Face and IAFFA. She is an institute of Advanced Facial Aesthetics Award Winner 2017 in the Total Face Scuplting Category, so you can be assured you will be in very safe hands. She offers honest, in depth information about your individual treatment options whether it is Facial Aesthetics Treatments that you are looking for, every day facial skin care or skin conditions such as pigmentation or acne. 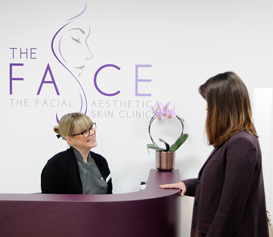 All our team here at The Face attend regular training courses in order to keep their knowledge at the cutting edge of what is happening in the field of Facial Aesthetics and Skin Care, to provide you with the highest possible level of care. One of our highest priorities is patient confidentiality and discretion. Not everyone wants to shout about what they have had done. 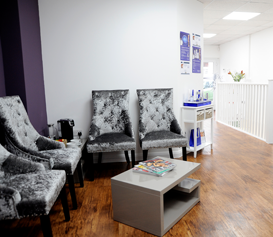 Our waiting area is discreetly located out of view from the front of the clinic. You can be assured that our friendly team will handle your treatment with confidentiality and discretion at all times. 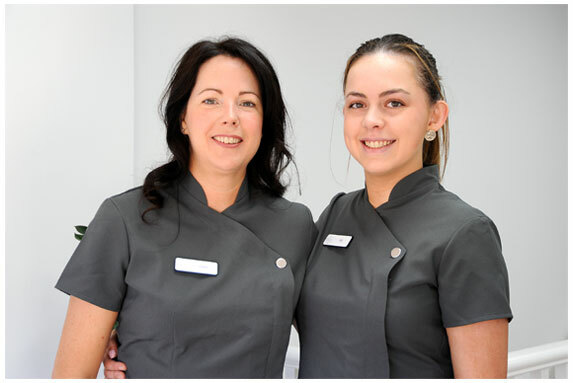 Our skin care therapists are a very important part of our team here at The Face. “An artist cannot create a beautiful picture on a poor canvas”… Chrissy works with our skin care therapists to ensure your overall results are the best that can be achieved. We work with ZO Skin Care and AlumierMD to offer our clients medical grade product solutions, combining home care and in clinic peels. Clare lectures in advanced skin care techniques and we are delighted to have her expertise on our team. Abi is a level 4 qualified beauty therapist and also offers microblading as an additional treatment. Our multi-talented Tina, is not only part of the front desk team here at The Face and at Chrissy’s dental surgery, but she is also a qualified level 3 beauty therapist and completes our Skin Care Team. You can also keep an eye out on our social media pages for their top tips to healthy skin!